Finished in 8:15. This was 33 seconds faster than my previous attempt (3 weeks ago). This time I paced it out from the beginning by just doing sets of 5. This made managing my breathing much better. 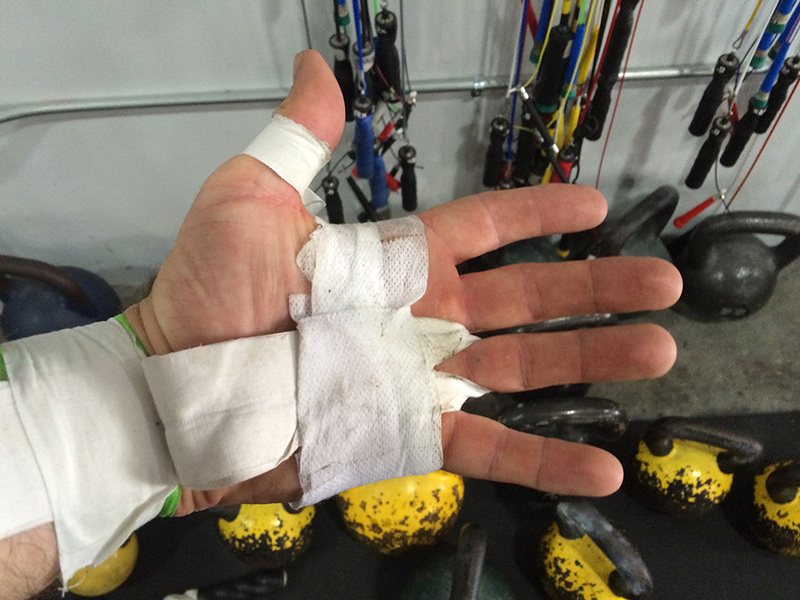 As you can see, I had lots of tape to help me; I tore my palm on Monday doing the bar muscle up attempts. It was quite sore today, so I padded the crap out of it.